Republished with permission from www.horizon-magazine.eu. You have used advanced brain imaging techniques to come up with a model of how the brain processes vision – and it says that instead of just sorting through what we see, our brains actually anticipate what we will see next. Could you tell us a bit more? ‘The main purpose of the brain, as we understand it today, is it is basically a prediction machine that is optimising its own predictions of the environment it is navigating through. So, vision starts with an expectation of what is around the corner. Once you turn around the corner, you are then negotiating potential inputs to your predictions – and then responding differently to surprise and to fulfilment of expectations. ‘First of all, the outside world is not in our brain so somehow we need to get something into our brain that is a useful description of what's happening – and that's a challenge. 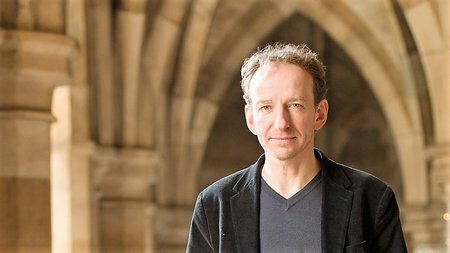 ‘We become painfully aware of this challenge if we try to simulate this in a computer model – how do we get information about the outside world into a computer model? The brain does that in an unsupervised way. It segments the visual input into object, background, foreground, context, people and so on, and no one ever gives the brain any kind of supervision to do so. How does surprise help us form models? How does this work in our everyday experience – when we’re cycling on the street, for example? ‘You have forward models, so while you're cycling, you predict the trajectory of the cars, of your own movement on the entire world, in real time. You update your predictions (of) the future model that you create in order to cycle through the city without being run over. 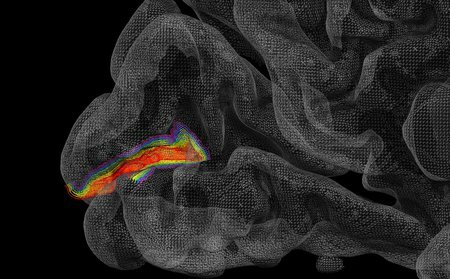 You’ve been working with the Human Brain Project (HBP), which is building a massive data and computing network to study the brain. How does it link to your work? ‘It’s interesting because you need to become explicit about the model that each scientist has and use this on different scales and different species from mice to humans, from computational models to neuroscientific experiments and converge to a more general understanding. The predictive coding framework is something that is (being) tested by several teams within the HBP. What’s next for your pursuit of brain science? ‘There is one thing that interests me a lot. We seem to have this capability of mind-wandering and predicting alternative scenarios in (the) future. We think about: “What am I going to do tonight? Should I go to the shops?” And you do this while you’re cycling on your bike and so on, and it seems like you’re doing three things at a time – thinking about planning your birthday, riding your bike and also calculating your next bill. There seems to be two scenarios, the emerging now, and the alternative – the plan. What about your work motivates you? This article Theory of predictive brain as important as evolution – Prof. Lars Muckli was originally published on Horizon: the EU Research & Innovation magazine | European Commission and is kindly republished here with their permission.